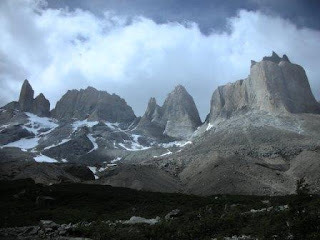 We’ve just finished our Patagonia trip which took us almost 3 weeks. This time we traveled as part of an organized tour managed by an Australian company Tucan Travel. We were in a small group of 11 people and had quite a lot of freedom to do the activities we wanted at our own pace, which was great. It was strange at first to travel in a group and not have to worry about accommodation and transport, but we had a great time and it would have been difficult on our own to see all the places we went to. 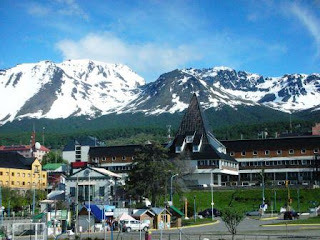 The trip started at the furthest southern town in the world – Ushuaia. What used to be a frontier type of place is now a pleasant and quite a touristy place. Most people are attracted there as a departure point for a trip to Antarctica, but there are also opportunities to see sea lion and penguin colonies, take a trip across the Beagle Channel made famous by Charles Darwin, visit the Tierra del Fuego national park or even climb to the top of a nearby glacier. After spending 3 nights in Ushuaia we made our way North across Tierra del Fuego (The Land of Fire), crossing the Magellan Strait and stopping at Rio Grande. 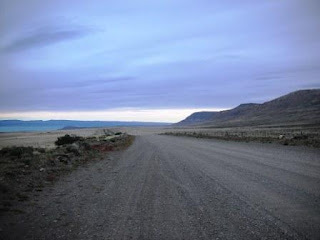 Rio Grande is a frontier town and an old air base, which was used heavily during the Falklands war. There are numerous memorials as a reminder of the war and all the maps show Falklands as part of Argentina. Needles to say we tried not to mention the war to any locals. 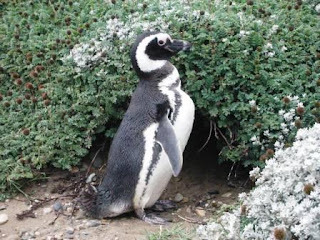 From Rio Grande we crossed the boarder into Chile, stopped for lunch at a penguin colony and arrived at Puento Arenas – a small duty free port located on the shores of the Magellan Strait. Leaving Rio Grande early in the morning we headed for 3 nights of camping in the Torres del Paine (The Blue Towers) national park. 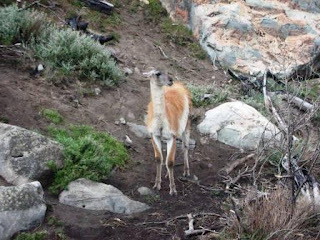 The park is quite spectacular (and quite enormous) and offers endless walks, boat trips, horse riding and plenty of opportunities to see native wildlife including Guanacos, Condors, Eagles, Falcons and not so native Skunks. 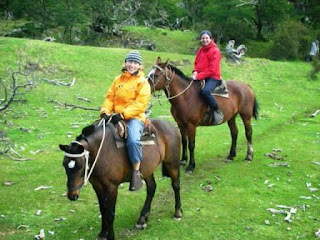 The camping was great fun despite fairly cold weather the notorious Patagonian wind and the days were packed with activities leaving evenings to drink wine and unwind. 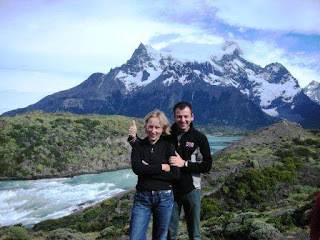 After leaving Torres del Paine we took a long drive through the dry and windy Patagonian plains stopping on the way for some wine tasting at Laguna Azules and stopping overnight at Puerto Natales. 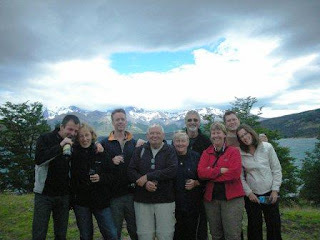 Puerto Natales is a small town with only a few houses and not much to do so the wine tasting continued though the afternoon and into the early hours. It wasn’t easy getting up the next morning especially as it was another long drive day, but the thought of one of the best steaks in Patagonia on arrival at El Calafate kept us on track. El Calafate is a fairly modern and touristy town and the base to visit the magnificent Perito Moreno Glacier. The next morning we took an organized trip to see the glacier. I had great expectations of this day having read quite a bit about the glacier on the internet, but the view of the glacier was beyond all expectations. The glacier is a part of the glaciers national park – the 3rd largest mass of ice on Earth (after Antarctica and Greenland) and is one of the few glaciers with in balance, meaning that the the growth of the ice is equal the loss due to melting. 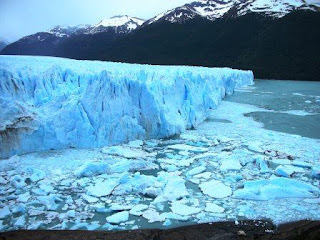 The glacier moves on average 1.5m per day and during the day huge chunks of ice calve into the lake. Approximately every 3 years the pressure of the water between the two lakes causes a huge breakage of a part of the glacier. ps. Daniel z ciocia dzis leca do Australii - jak dobrze pojdzie to moze bedziemy swietowac nasze swieta w gronie rodzinnym w stylu australijskim - przy grilu.